Complex molecule functionalization, including complex molecule diversification, is one of the frontiers of contemporary chemistry. Control over chemical reactivity and predictable selectivity are the key goals in this field. C-H activation is an important development in this connection and complementary to this, our group developed a method to regioselectively oxidize unprotected oligosaccharides (ANIE 2013, pp 7809-7812). During the ALERT program, catalytic reactions that selectively modify complex molecules, in particular antibiotics, will be developed and applied to diversify the scaffold or to avoid resistance. Photoredox chemistry and transition metal-catalyzed C-H oxidation will be important methods, backed up by (multistep) organic synthesis. Structure-based design and synthesis of inhibitors of anti-infective targets, such as the enzyme DXS and energy-coupling factor transporters, taking advantage of dynamic combinatorial chemistry. We have recently reported the first inhibitors of two important anti-infective targets: DXS and the energy-coupling transporter ThiT for thiamine. 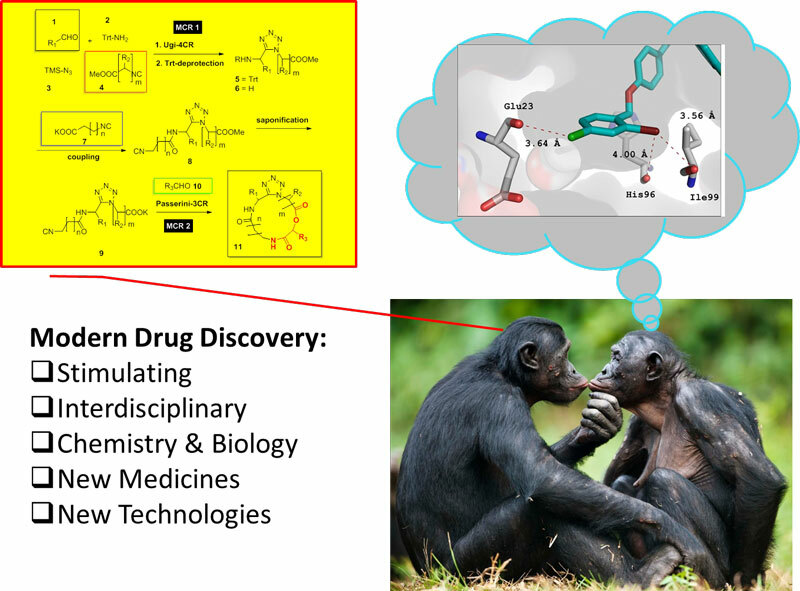 During the ALERT program, we will adopt structure-based drug design in combination with dynamic combinatorial chemistry to further optimise the initial hits into lead compounds. We will focus on improving the potency as well as other drug-like properties such as water solubility and selectivity. From an early stage, we will also monitor how the compounds perform in cell-based assays. 1. T. Masini, J. Kurz, B. S. Kroezen, B. Illarionov, M. Fischer, C. Griesinger, A. K. H. Hirsch, Chem. Sci. 2014, 5, 3543–3551. 2. L. Monjas, L. J. Y. M. Swier, A. R. de Voogd, A. Gustov, D. J. Slotboom, A. K. H. Hirsch, ChemBioChem 2015, 16, 819–826. The student will be trained in drug design and medicinal chemistry, carrying out biochemical activity assays, focussed on finding initial lead compounds for the major human pathogens M. tuberculosis and P.falciparum. Organic chemistry with an interest (or some experience) in medicinal chemistry, chemical biology and/or biochemistry. In recent years our group has developed a powerful technique to functionalize complex natural products without the need for multistep organic synthesis. We employ aptamers based on nucleic acids that bind a complex target structure. The functional groups in contact with the aptamer are protected while functional groups of the target not in contact with the aptamer can be regioselectively modified (Nature Chem. 2012, 4: 789, Figure 1). 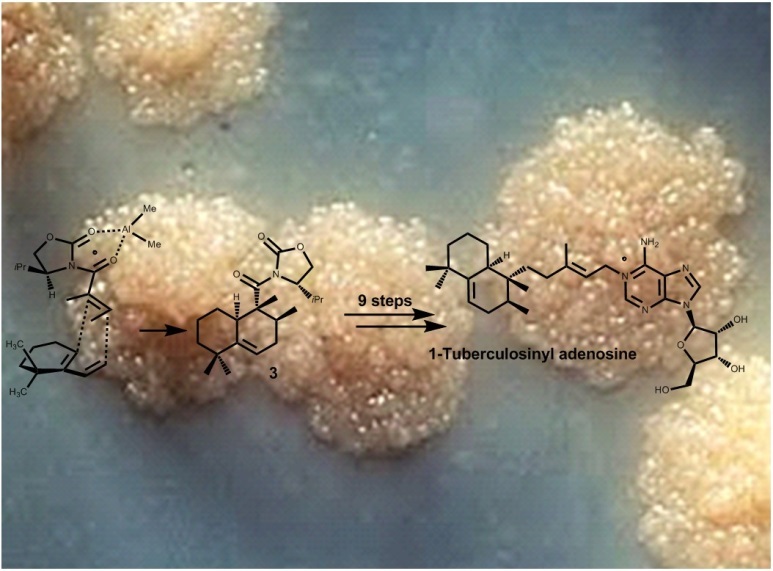 As a consequence, many new antibiotic derivatives based on aminoglycosides were fabricated that would have required years to be synthesized by conventional procedures. We prognosticate that the aptamer protective group (APG) technology will have great impact on natural product-based drug development and lead optimization. During the ALERT program, novel antibiotics are designed and synthesized employing APGs to overcome antibacterial resistance or to fabricate conjugates composed of different classes of antibiotics exhibiting two antimicrobial warheads. The student will be trained in in the derivatization of complex antibiotics based on natural products by using a novel approach based on supramolecular protective groups. Modern Drug Discovery is an exciting mix of technology platforms performed in multidisciplinary teams and offers open minded the opportunity to fundamentally contribute to areas of unmet medical needs such as tuberculosis. Rv2234 phosphatase and PD1-PDL1 protein protein interaction are exciting new targets for tuberculosis drugs, which will be investigated during the ALERT program. Rv2234 phosphatase is a transcriptional regulator and animal models with mutant Rv2234 indicate strongly reduced bacillary load. Recent research indicates that the PD-1 axis could be a host drug target for immunomodulatory treatments of tuberculosis. The PI lab has a strong base in PD1-PDL1 medicinal chemistry and protein science. The student will be trained in drug design and medicinal chemistry, protein production, purification, biophysical characterisation, crystallisation and structural analysis, as well as finding initial hits for the major human pathogen M. tuberculosis. A strong background in organic chemistry and biochemistry, however open minded to neighbouring disciplines, including medicine and biology. 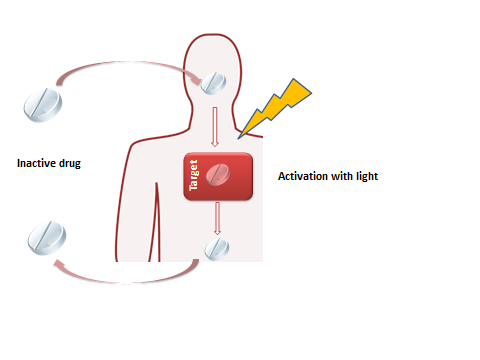 The goal of this project is to use a photopharmacology (1) approach to control antibiotic activity with light to achieve high precision activation and auto-deactivation to avoid environmental contamination of active ingredient and resistance build–up. Using a combination of synthetic, photochemical and cell biology methods various light-switches will be incorporated into antibiotics, their photoresponsive behavior studied and the modulation of biological activity tested. A similar approach will be followed for switchable quorum sensing molecules to control bacterial communication and biofilm formation with light. Major challenges to be addressed in this PhD project include the design of switchable antibiotics with visible / near–IR photoswitching. This is an essential feature for deep tissue penetration in future clinical applications. Specifically, we focus on using modified azo-benzenes and novel photoswitches with extended conjugation. The novel photoswitches will also be incorporated in a selected series of bacterial quorum sensing molecules (2) to control bacterial aggregation and biofilm formation. Photopharmacology: Beyond Proof of Principle, Velema, W.A. ; Szymanski, W.; Feringa, B. L., Am.Chem. Soc. 2014, 136 (6), 2178-2191. Van der Berg, J. P.; Velema, W. A.; Szymanski, W.; Driessen, A.; Feringa, B.L. Chem. Sciences, 2015, 6, 3593-3598. The student will be trained in synthesis, photophysics and hybrid biosystem design and study the reversible control of bacterial activity and bacterial communication, all focused on photopharmacology.